These 2 sections will teach you how to port a mobile application (Daydream) to the VIVE Wave™ platform. In WaveVR, import the SDK and edit the project settings. 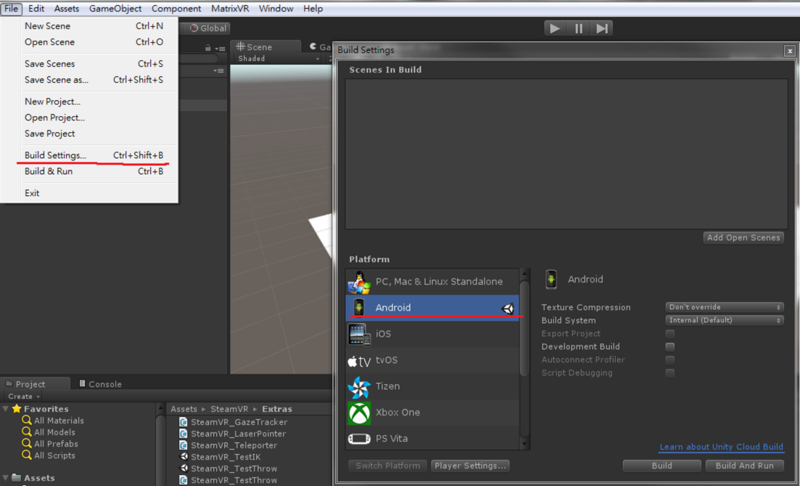 In “Build Settings”, make sure “Platform” is set to “Android”. In “Player Settings”, turn off “Virtual Reality Supported”. Download the latest WaveVR SDK and import it. In WaveVR, Camera is a specific prefab so you need to replace the Main Camera object with the WaveVR object and delete the related scripts from Daydream. 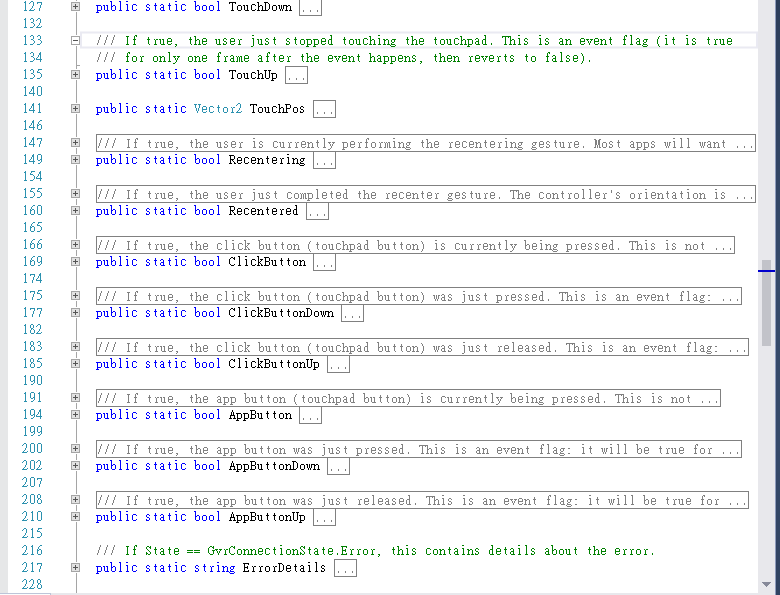 Check the button comparison and follow the steps below to replace the controller script. 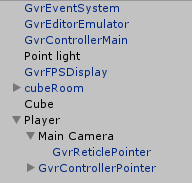 In the GVR controller API, there are different states. 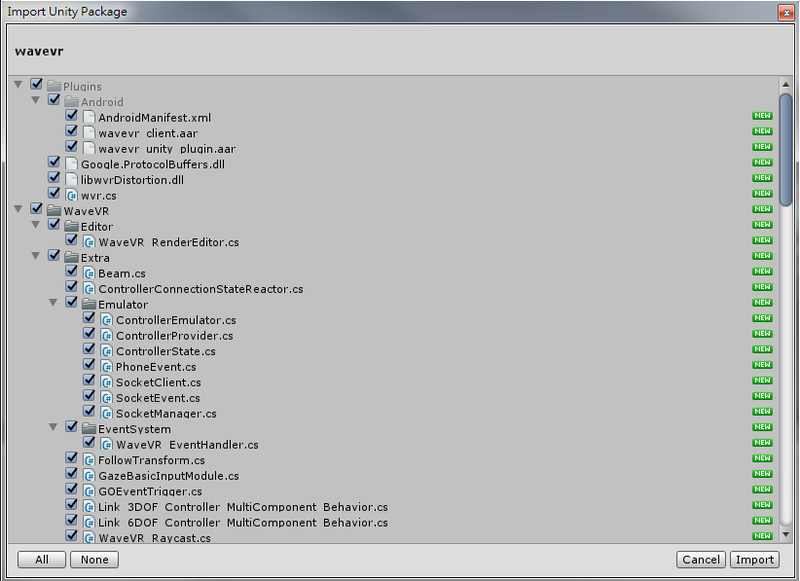 GVR directly retrieves the status of the controller through the use of variables. However, WaveVR uses “device” type, “buttonId” mask, and functions to get the states. // if button with buttonId is press and held. You can check the WaveVR controller section for more details. Note: WaveVR supports multiple VR devices. Some buttons don’t exist in actual devices so the button states may always get “false”. For example, there is no Grip button on the Link controller. Delete all of the Daydream controller scripts and add prefabs named Link_6DOF_Controller_MultiComponent_L and Link_6DOF_Controller_MultiComponent_R to the scene. In WaveVR, the controller orientation directly affects the object orientation that has the WaveVR_PoseTracker script. You will need to add the “WaveVR_PoseTracker” script to the new game object that you want to be affected by the controller. © Copyright 2018 HTC Corporation. All Rights Reserved.